Safety has and always will be our first priority at ACR Roofing so the correct measures were required to ensure this building met with today’s standard of compliance. With WorkSafe regulations and the Compliance code for “removing asbestos in workplaces”, walking on an asbestos roof without appropriate safety mesh and platforms cannot and will not be allowed. 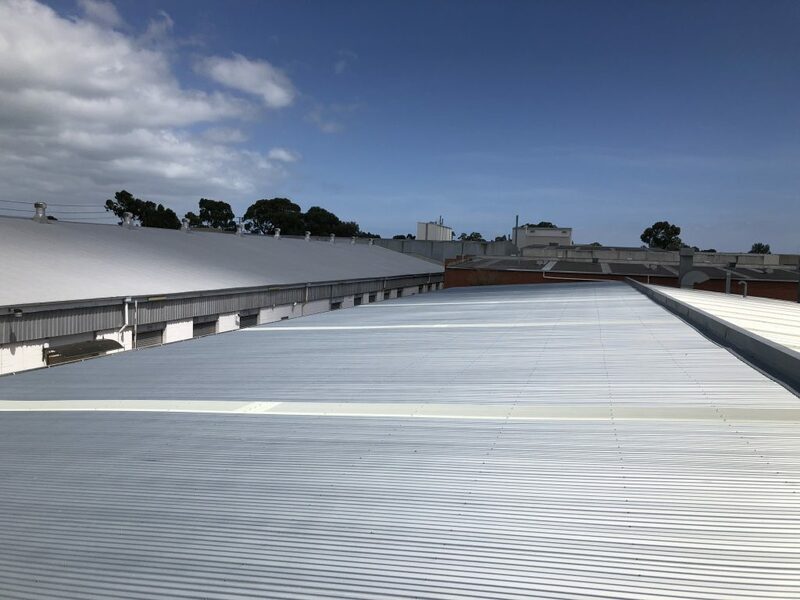 The original asbestos roofing had become brittle and as there was only some form of safety mesh underneath it, ACR Roofing completed the asbestos removal process and installation of new safety mesh off aluminium walkways, whilst attached to safety harnesses. 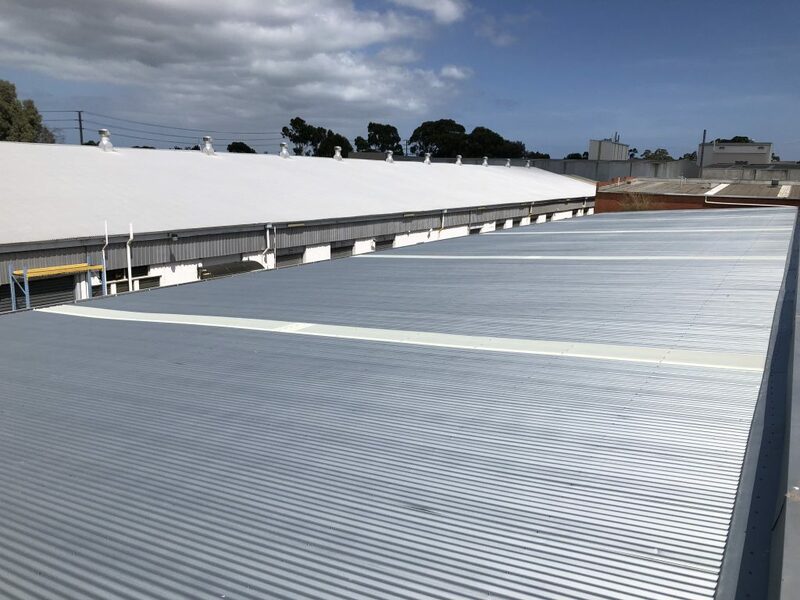 Once the new safety mesh was installed, forming a compliant roof, ACR’s roofing contractors were able to traverse over the roof area and install the new BlueScope Zincalume corrugated roof without any safety apparatus. The end result saw a safe and compliant roof replacement looking as good as two of its neighbours’, which ACR Roofing had also replaced.